This course is ideal for smaller workplaces that present few health and safety risks, where a nominated or appointed person is required to take charge in the event of an illness or accident. It is also a suitable qualification for high risk workplaces, where EFAW qualified persons back up First Aid at Work (now 3 day) qualified staff as well. This course is ideal for 'nominated' persons or for people who provide support to qualified first aiders (FAW). This course covers the practical skills needed by a first aider in the modern workplace. The course will give you the confidence and knowledge to deal with first aid emergencies. Four days. The course is usually offered as four consecutive days; however, we also offer it as a split course over two or four weeks at some centres. Since October 2009 this course has been three days following the changes announced by the HSE in workplace first aid training. After completing a final assessment successful candidates receive an HSE approved certificate valid for three years. This course is legally compliant with the current Health and Safety (first aid) Regulations 1981. Upon successful completion of this four day course, first aiders receive certification to allow them to practise for three years after which a re-qualification course becomes necessary (First aid at work refresher; 2 day). We offer a 1/2 day first aid annual refresher course based on the Emergency First Aid at Work (Appointed Persons). This is suitable for companys who wants to maintain their staffs experience and qualifications and is especially relevant to high risk industrys and operations. First aiders whose certificates have expired for more than 28 days must attend the full four day first aid at work course. This course is for people wishing to renew a valid first aid at work (4 day) certificate. The course includes an update of first aid knowledge and skills and a revision of workplace requirements. The duration of this course will not be affected by the changes announced by the HSE for workplace first aid training, which come into affect in October 2009. The Health and Safety Executive (HSE) has announced the biggest changes to the first aid at work regulations for over a quarter of a century. 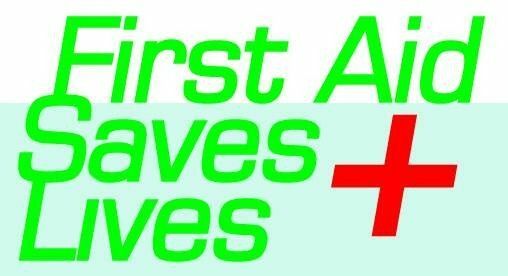 From 1 October 2009 the four day First aid at work course (FAW) will become a three day course and a new one day Emergency first aid at work course (EFAW) will be created. The HSE strongly recommends that first aiders do an Annual refresher course. The relevant regulations are the Health and Safety (First Aid) Regulations 1981. This guidance to the regulations sets out the difference between a 'first aider' and an 'appointed person'. annual leave and other absences of first aiders and appointed persons.